When you want your vehicle to last as long as possible, maintenance is extremely important. Maintenance does not refer to engine checkups only; your tires need a little love and care as well and for good reason. Having your tires rotated regularly is extremely important in order to get the most miles out of your tires. In addition to longer tread life, you will also notice an improvement in your gas mileage and overall handling of the vehicle- all of which saves you money when looking at the bigger picture. Tire rotation saves you money by encouraging equal tire wear. Your tires will last longer and perform better, while your fuel efficiency will go up saving you money on gas. When your tires are balanced, your car steers and brakes better too, saving money on repairs as well. As mentioned above, properly balanced and rotated tires can help the car steer and handle better. This increases the vehicle’s fuel efficiency so that the tire friction is at its lowest, safest level, and doesn’t use additional energy. Your tires can respond to demands such as a quick acceleration to pass, a sudden jam on the brakes, and tight corners when all four tires are wearing down evenly. Equally stressed tires will also help maintain the wheel alignment by reducing friction with the road. hen your tire has uneven wear, it tends to cause an increase in vehicle vibration, usually most noticeable in the steering wheel. You can also recognize worn tires if you hear increased road noise. Regularly rotating and properly inflating your tires corrects both of these issues. When tires are never rotated is when uneven tire wear occurs. The tires on the front axle of your vehicle wear differently than those on the rear axle. This makes rotating your tires essential for even wear on all four tires and allows the tires to serve the back and the front of the vehicle equally. Knowing when to check your tires is key: tire rotation just before the winter season will improve your traction on wet and slippery or icy roads. 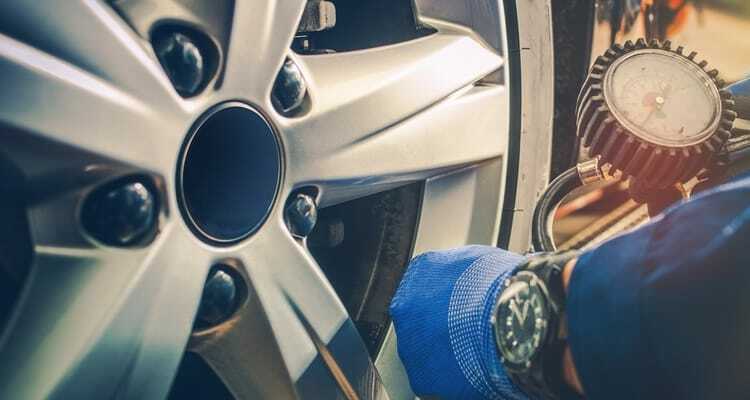 Instead of wondering what are the benefits of tire rotation, just know that with regular tire rotations, you save yourself a lot of future time and money on the overall performance of your vehicle. Schedule an appointment for your next oil change and make sure to include tire rotation- you’ll be glad you did!